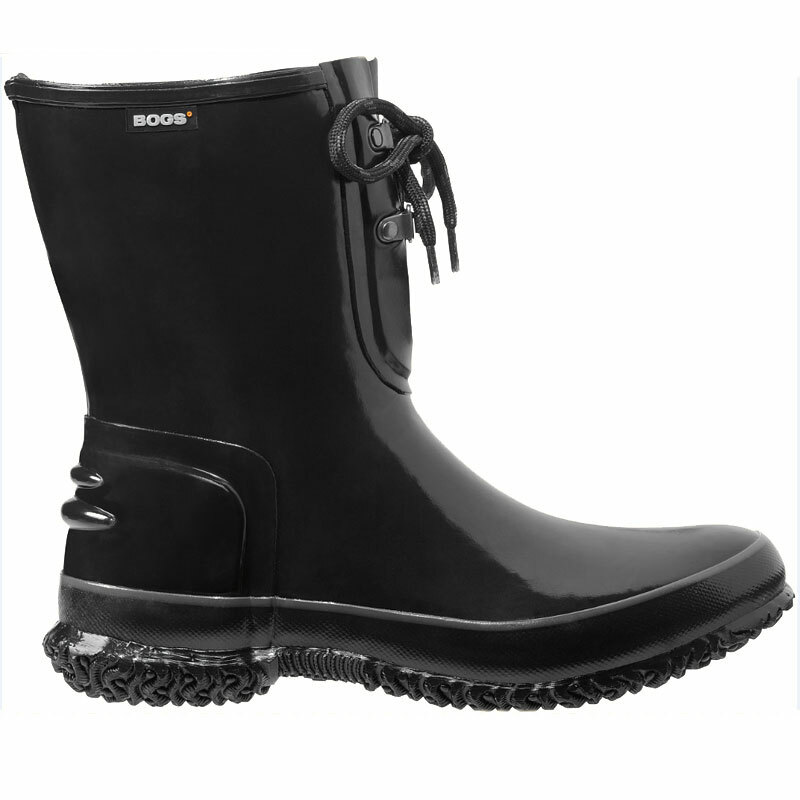 The Bogs Urban Farmer 2-Eye Lace boots are perfect for the rain, the garden, and everywhere in between. These women's boots are 100% waterproof, and thanks to the hand-lasted rubber, they are extremely durable as well. The seamless construction ensures that these boots are comfortable and flexible, and also that no water will get in. They are lined with EverDry and Bogs Max-Wick to help absorb and evaporate sweat and moisture for a healthy foot environment. The DuraFresh bio-technology activates to help fight unwanted odors, and the dual-density, contoured EVA insole provides shock absorption and comfort. The internal steel shank is wide to provide stability. Whether it's raining or you just need to get dirty in the garden, the Bogs Urban Farmer 2-Eye Lace boots will help you get the job done.